Platinum Cardmembers can enjoy ~HK$ 1 cash rebate for every HK$180 spending. CNCBI CITICfirst Platinum/CNCBI Platinum Cardmembers can enjoy our exclusive 0.55% Cash Rebate Rewards Program. 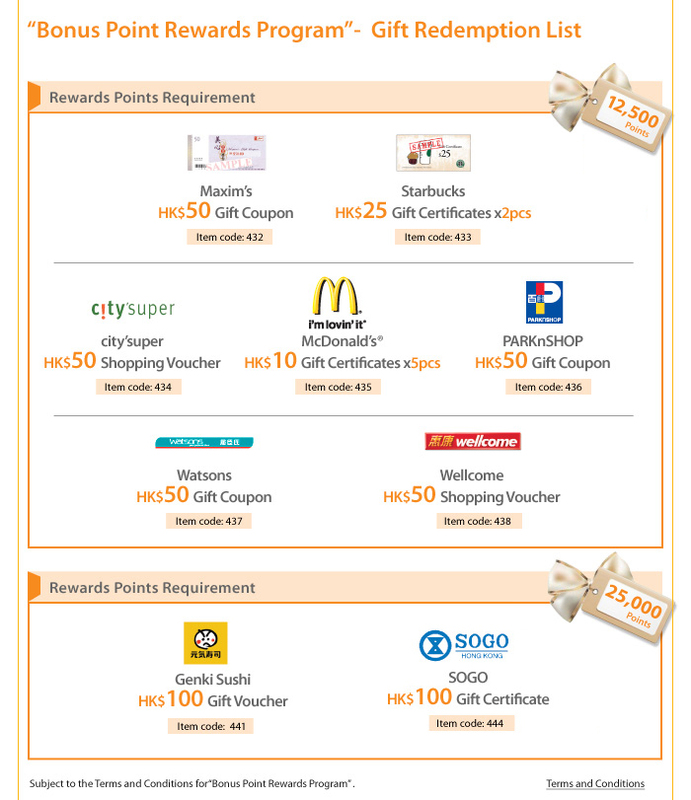 For every HK$180 spending with the CITICfirst Platinum/CNCBI Platinum Card, you can earn ~HK$1 Cash Rebate. All retail transactions at any merchants and cash advances are entitled to Cash Rebate Rewards. Spend with the CNCBI Gold or Classic Card and you can earn 1 Rewards Point for every HK$1 spending automatically – and redeem your favourite coupons. Even without sufficient accumulated Rewards Points, you can still redeem gift items first and accumulate the Rewards Points afterwards. What's more, the validity of your bonus point* is up to 2 years, allowing more time and flexibility for your points accumulation. * Displayed on the last section of monthly statement.